A good new girl to new town book. Centers around Natalie who has just had a heck of a break up, and is making new friends in her new home town after moving to help support her grandmother. Main characters are well developed but I feel the supporting characters lacked in connection to the story. Such as Starla and Colton. Overall, a decent read and a surprising ending. 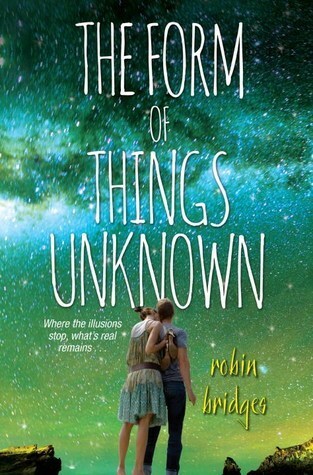 Sign into Goodreads to see if any of your friends have read The Form of Things Unknown. 100.0% "Pretty good. Ending was a little confusing...when did Lucas arrive at the dance?"